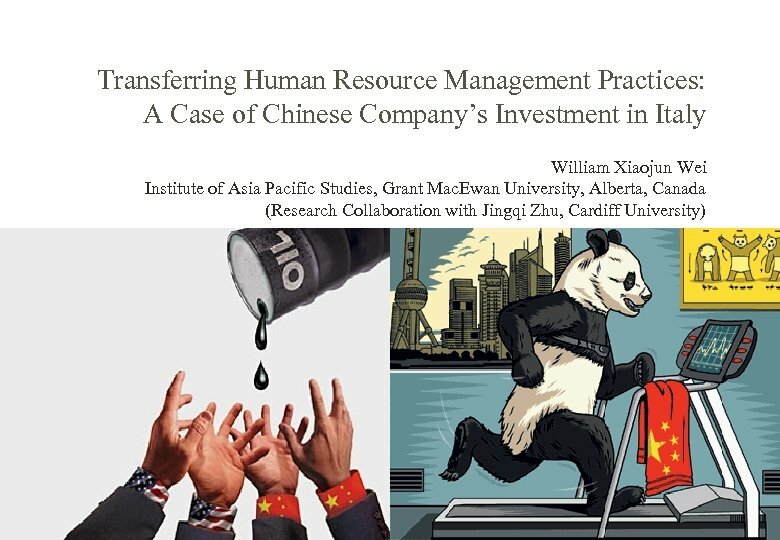 Research questions n How do Chinese HRM practices be transferred to the subsidiaries? 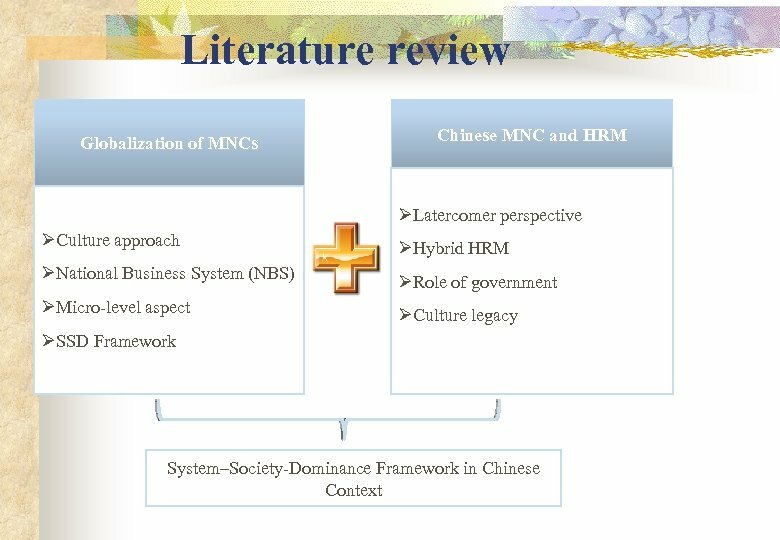 n What’s the gap between the planned HR strategy in Chinese HQ and the real situation in reality? 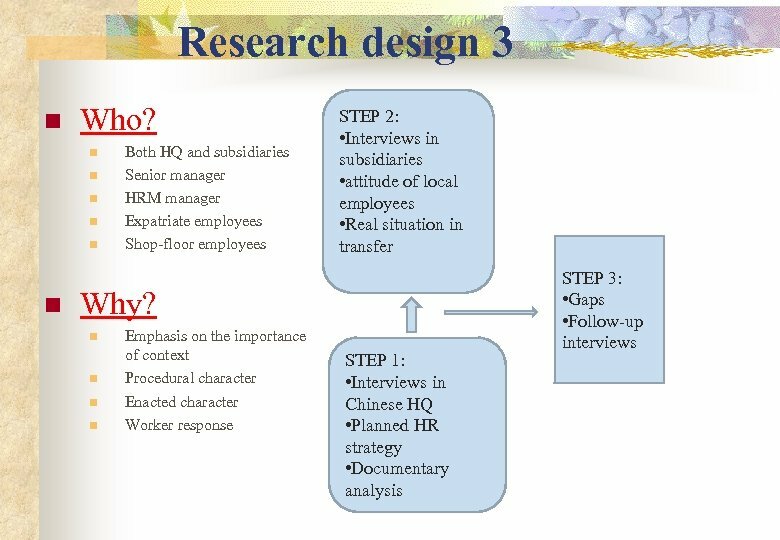 n What factors shape the transfer process? How and Why it happens? 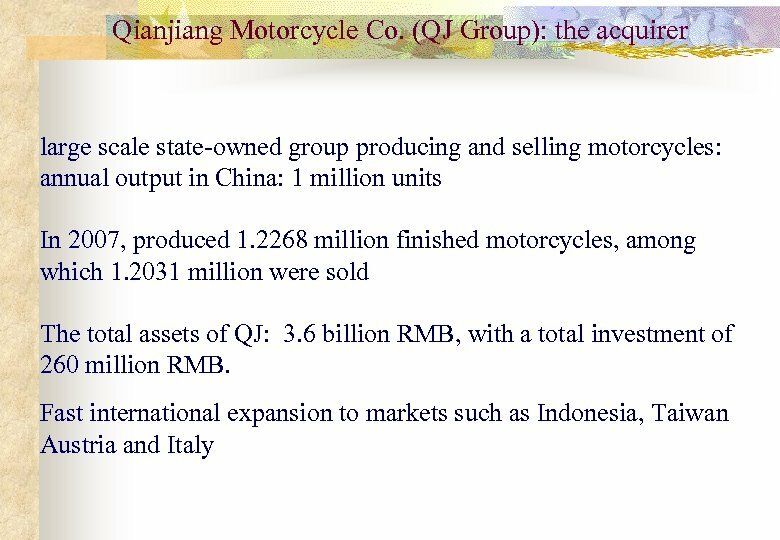 The acquisition In 2005 the Qianjiang (QJ) group, leader in producing and selling motorcycles in China, acquired the Italian Benelli company to expand its business in the western market. 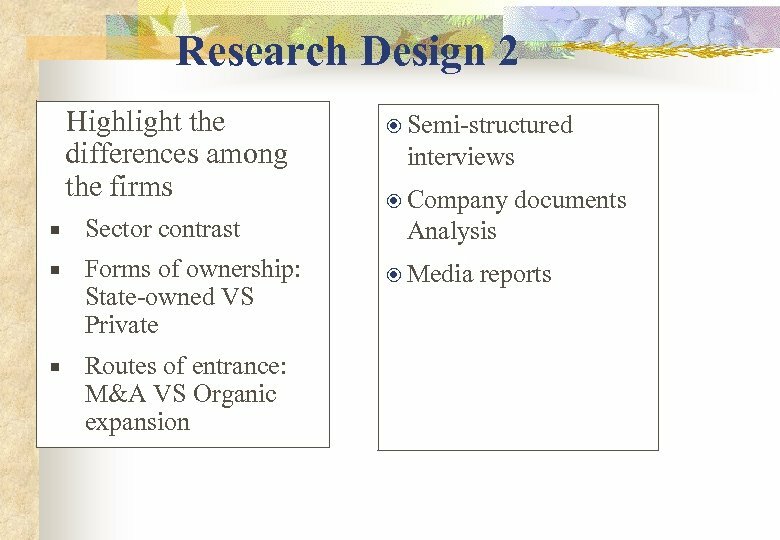 The two companies made contact for the first time in June 2005. 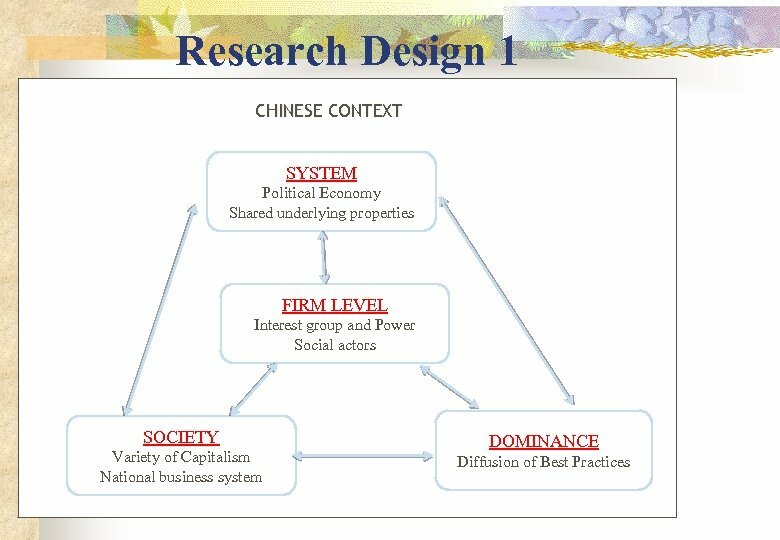 They were looking for an agreement that matched their relative strengths. 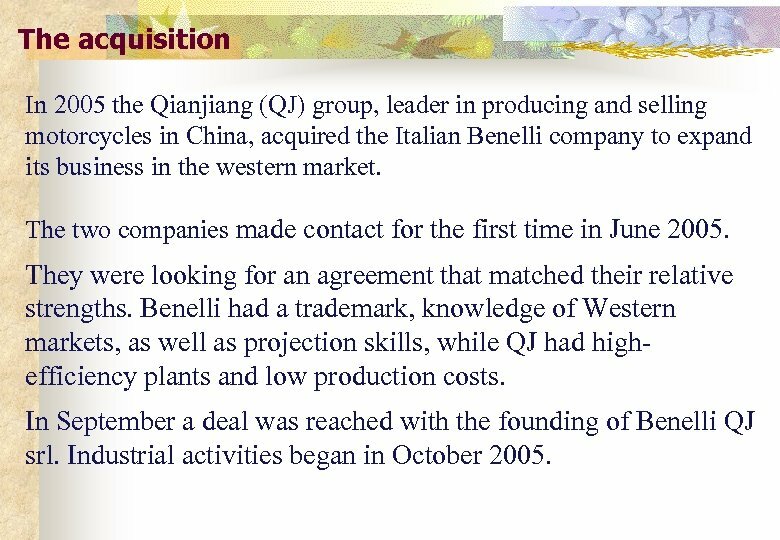 Benelli had a trademark, knowledge of Western markets, as well as projection skills, while QJ had highefficiency plants and low production costs. 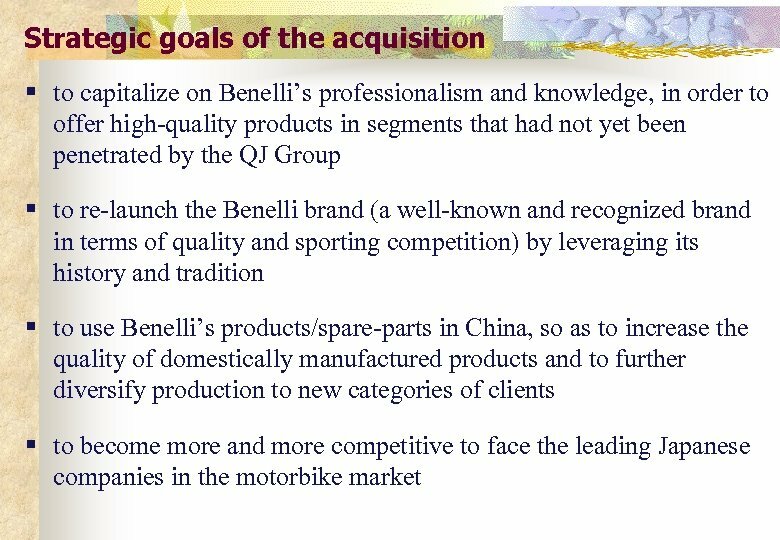 In September a deal was reached with the founding of Benelli QJ srl. 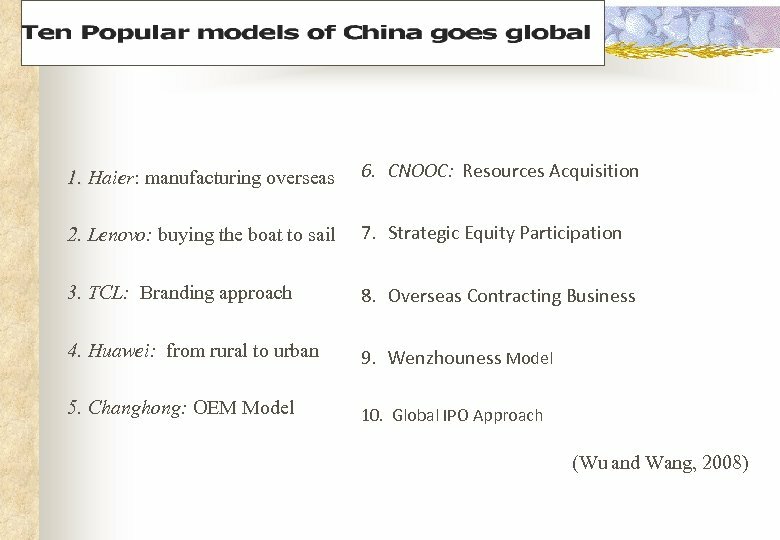 Industrial activities began in October 2005. 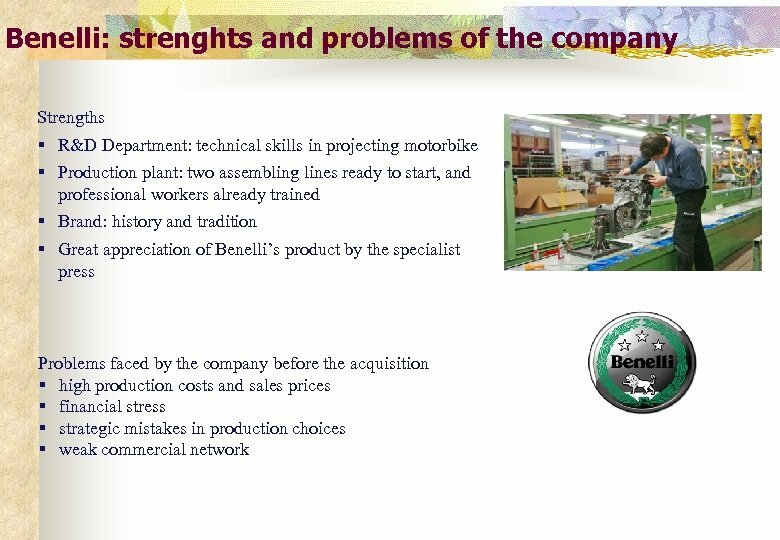 The integration The industry Benelli’s company is part of the motorcycle industry, which includes companies involved in manufacturing motorcycles and related equipment, parts, accessories. 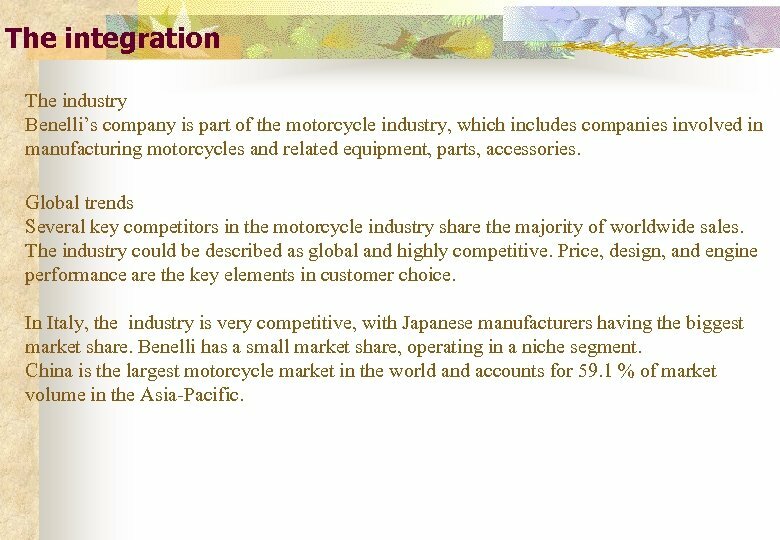 Global trends Several key competitors in the motorcycle industry share the majority of worldwide sales. 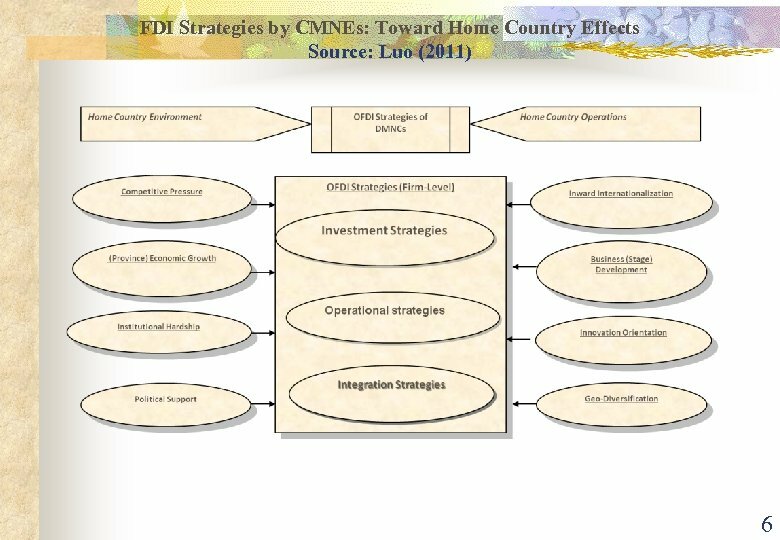 The industry could be described as global and highly competitive. 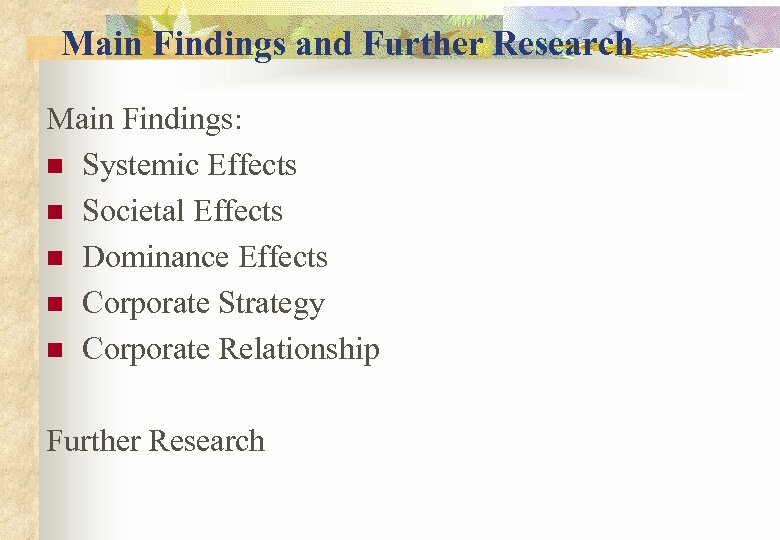 Price, design, and engine performance are the key elements in customer choice. 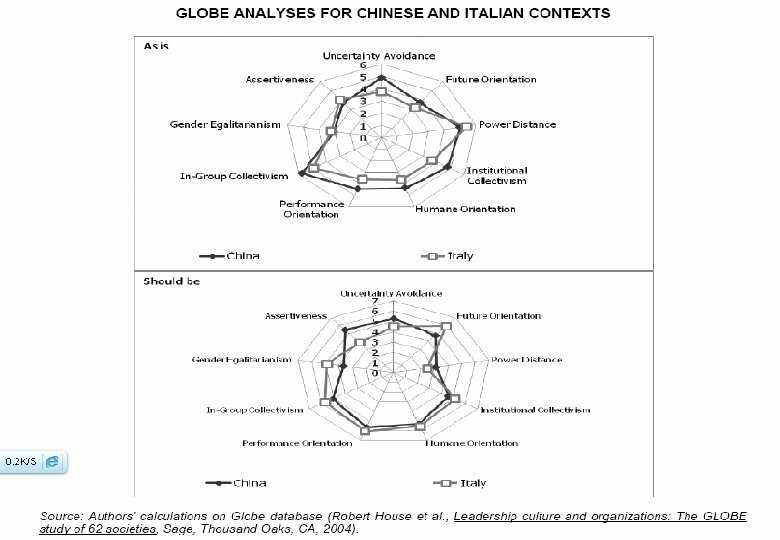 In Italy, the industry is very competitive, with Japanese manufacturers having the biggest market share. 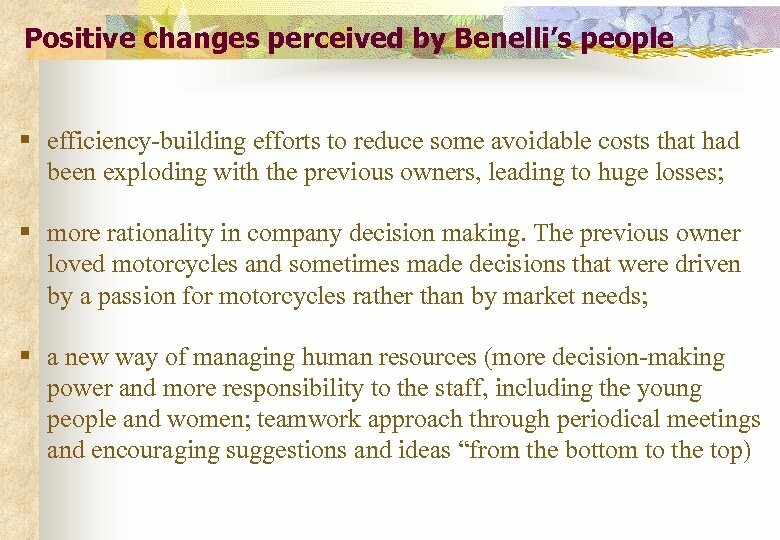 Benelli has a small market share, operating in a niche segment. 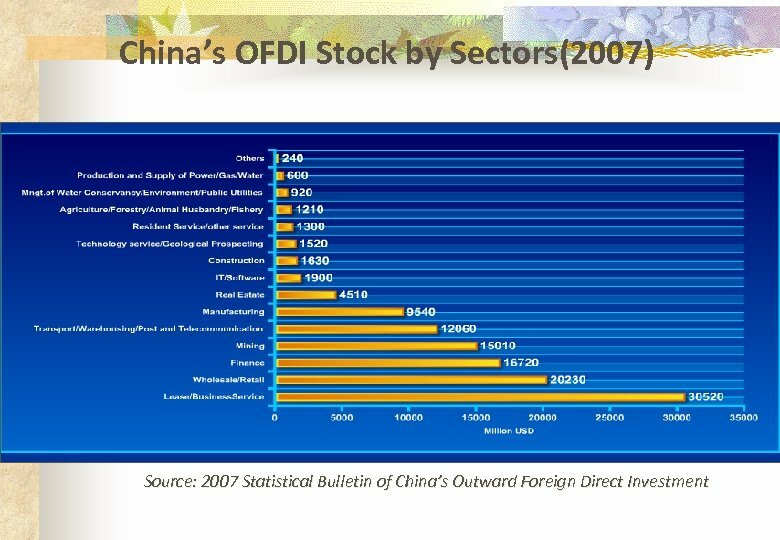 China is the largest motorcycle market in the world and accounts for 59. 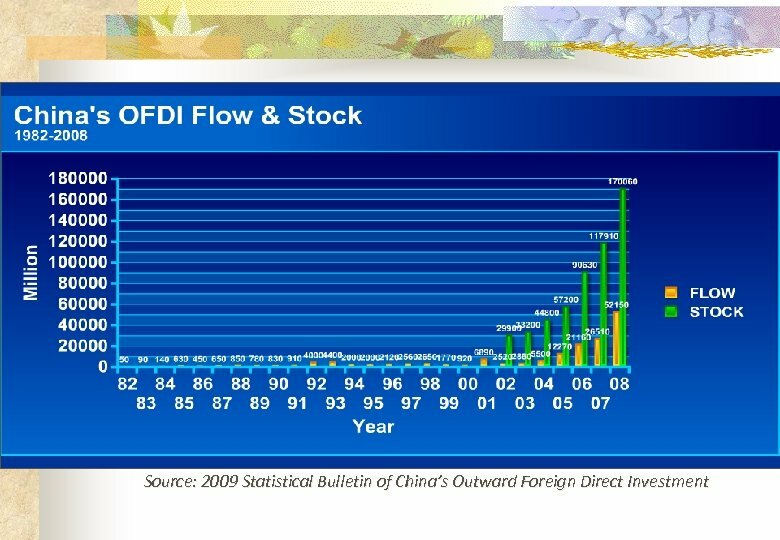 1 % of market volume in the Asia-Pacific. 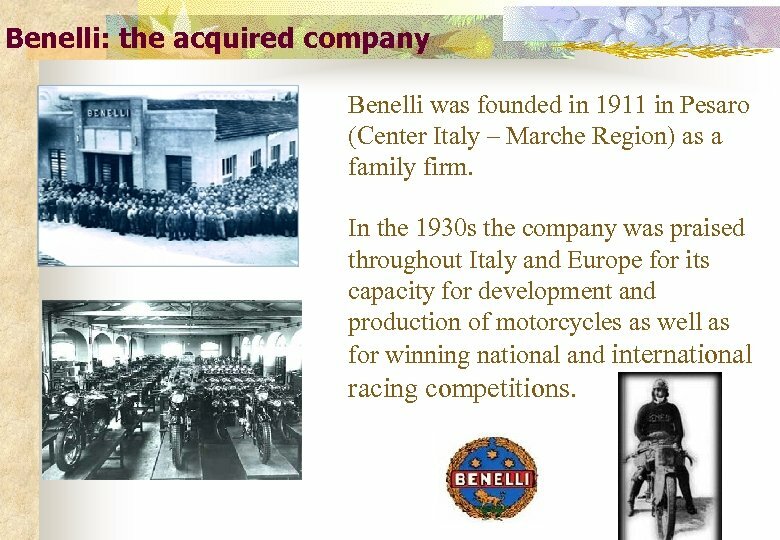 Benelli: the acquired company Benelli was founded in 1911 in Pesaro (Center Italy – Marche Region) as a family firm. In the 1930 s the company was praised throughout Italy and Europe for its capacity for development and production of motorcycles as well as for winning national and international racing competitions. The post acquisition activities Operations relating to administration, production, and R&D were maintained in Pesaro (Italy). 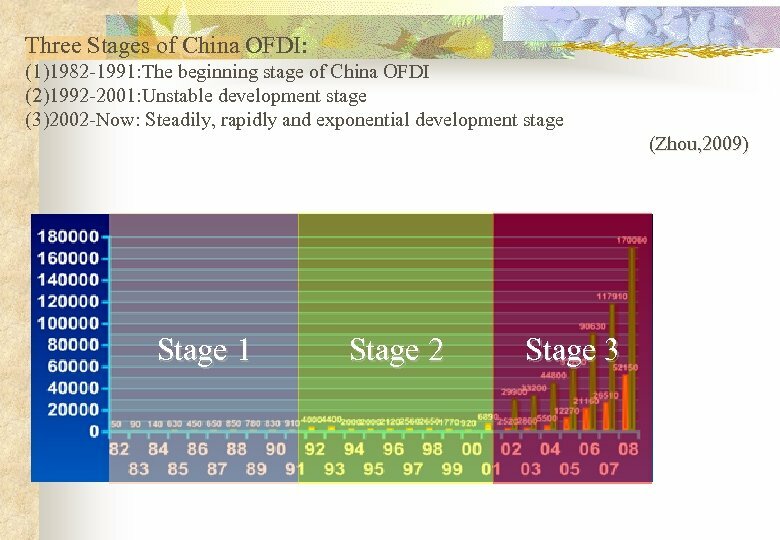 The main changes relates to production operations. Innovations includes an expansion of in-house operations, such as the 3 -cylinder engine assembly that previously had been outsourced. 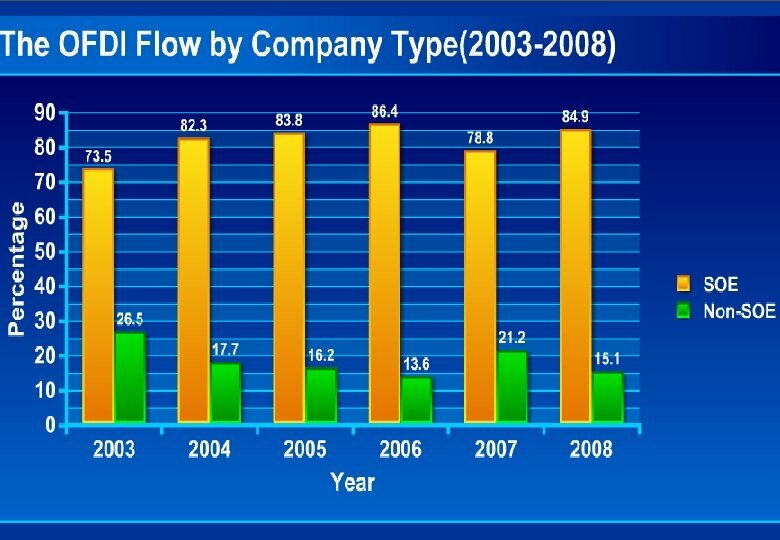 The original workforce of 45 in 2005 has increased to 100 employees. Currently, two production lines are operating: one for engine production/assembly and one for motorcycle production/assembly. 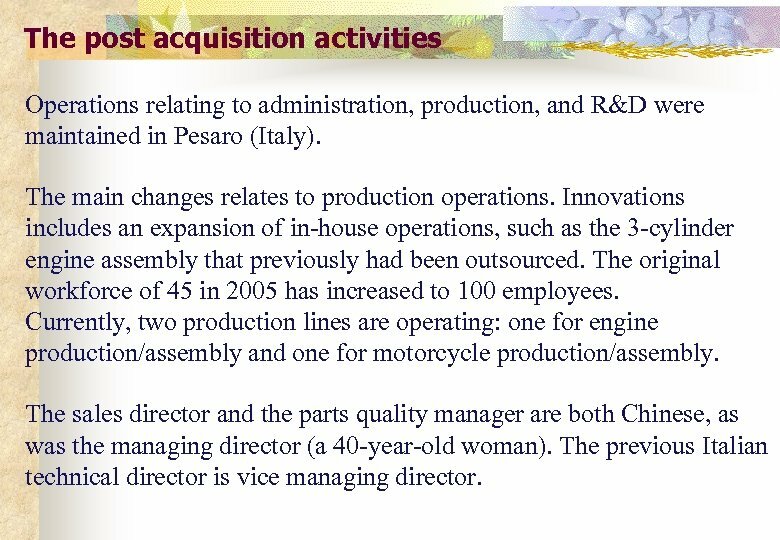 The sales director and the parts quality manager are both Chinese, as was the managing director (a 40 -year-old woman). The previous Italian technical director is vice managing director. The new industrial plan The industrial plan involves manufacturing new products within four years. Motorcycle production had already increased from only 3 models prior to the company’s acquisition, to 9 in 2007, and to 10 in 2008. Each motorcycle model is different, with three new engines. Motorcycles are designed in the Technical Department in Pesaro. 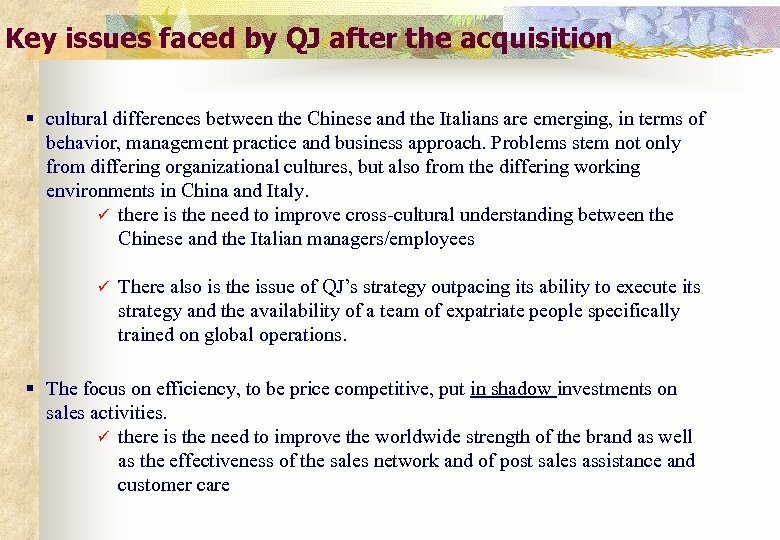 Designs and prototypes are then transferred to the QJ Technical Department, where the Chinese, in cooperation with the Italian Technical Department, take care of the industrial development of the project. 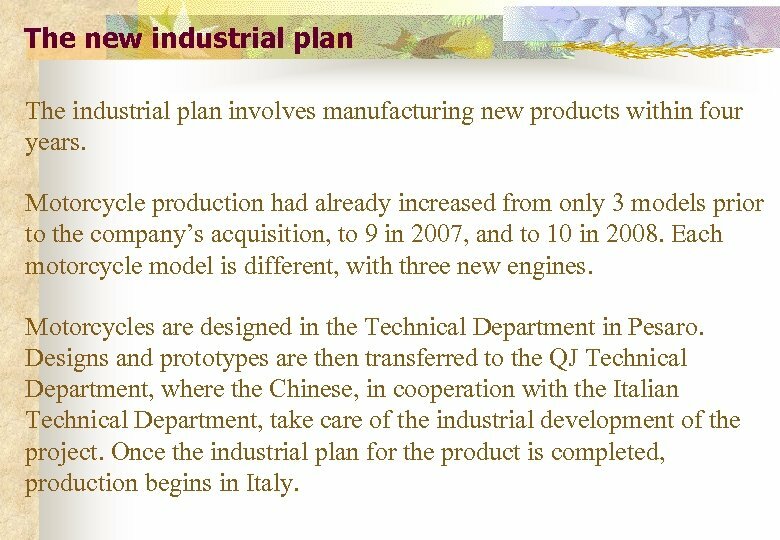 Once the industrial plan for the product is completed, production begins in Italy.